Republican senators are sounding sceptical of an Obamacare replacement passed by members of their own party in the House of Representatives. The measure brings President Donald Trump's party a step closer to scrapping the law, but it will probably face major amendments in the Senate. One Republican senator said a final version will be "near impossible". Democrats warn the bill will strip insurance from millions of Americans and send costs rocketing. The American Health Care Act passed the House of Representatives by 217-213 on Thursday without support from a single Democrat. It marked Mr Trump's first legislative victory and goes some way to keeping a key campaign promise to roll back his predecessor's signature healthcare reform. But several Republican congressman who voted for their measure admitted they did not even read it. "Oh, gosh," said Virginia congressman Thomas Garrett when asked on MSNBC whether he had perused the text of the far-reaching legislation. "I don't think any individual has read the whole bill," he said. "That's why we have staff." In a celebration at the White House after the vote, President Trump declared that Obamacare was dead. 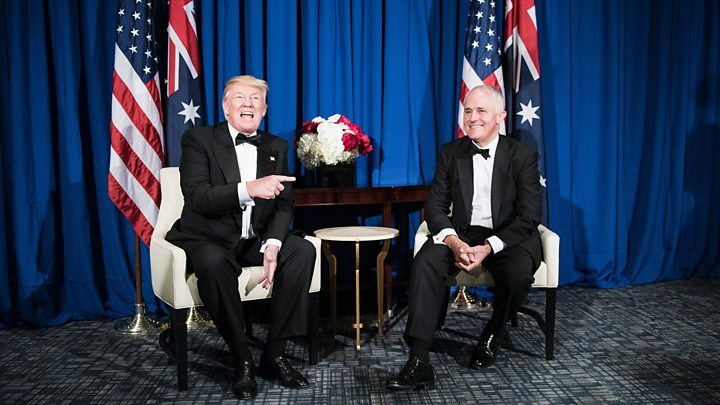 Hours later, Mr Trump raised eyebrows when he praised Australia's government-funded healthcare system during a meeting with Prime Minister Malcolm Turnbull in New York. Progressive critics including Senator Bernie Sanders quickly pointed out Australia's universal healthcare, a system which Republicans have long attacked. Media captionIs Trump right about Australian healthcare? White House Deputy Press Secretary Sarah Huckabee Sanders suggested on Friday Mr Trump was "simply being complimentary of the prime minister, and I don't think it was much more than that". But Mr Trump appeared to contradict his aide an hour later, when he tweeted: "Of course the Australians have better healthcare than we do - everybody does. 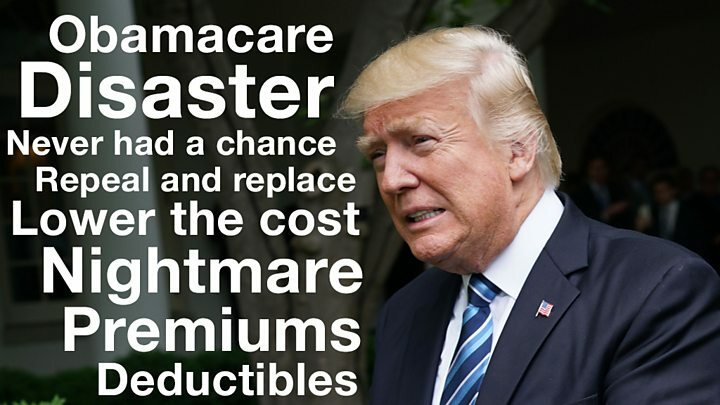 ObamaCare is dead! But our healthcare will soon be great." In a sign of the uphill battle ahead, nearly every major medical group, including the American Medical Association and the American Hospital Association, strongly opposes the measure. Critics expressed disbelief that the bill was passed without even allowing time for the nonpartisan Congressional Budget Office (CBO) to give a cost estimate. Influential South Carolina Republican Senator Lindsey Graham said: "Like y'all, I'm still waiting to see if it's a boy or a girl. "Any bill that has been posted less than 24 hours… needs to be viewed with suspicion." The CBO said an earlier Republican bill, which failed to get a vote in March, would cause 24 million Americans to lose their healthcare coverage. Other Republicans in the Senate have been outspoken in their doubts about the plan. Senator John Barrasso said they would have "lots of amendments". "It's close to near impossible," said Orrin Hatch, who as finance committee chairman will play a key role in drafting a Senate bill. He vowed, however, to get it done. 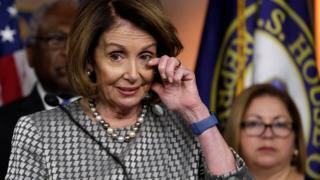 Democrats warn the measure's roll-back of Medicaid, a healthcare programme for the poor and disabled, would deny coverage to millions of working poor. Republicans hope to pass their bill through the Senate - where they hold a slender 52-48 majority - using a fast-track budget process known as reconciliation. Senate Majority Whip John Cornyn told reporters that it will be weeks before the chamber's Republicans can produce a new bill. It will then have to be sent back to the House before final passage. 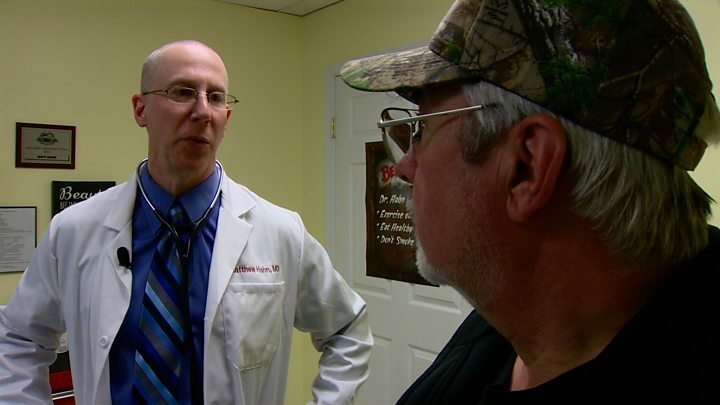 The rise of Obamacare: Why is the ACA so popular?